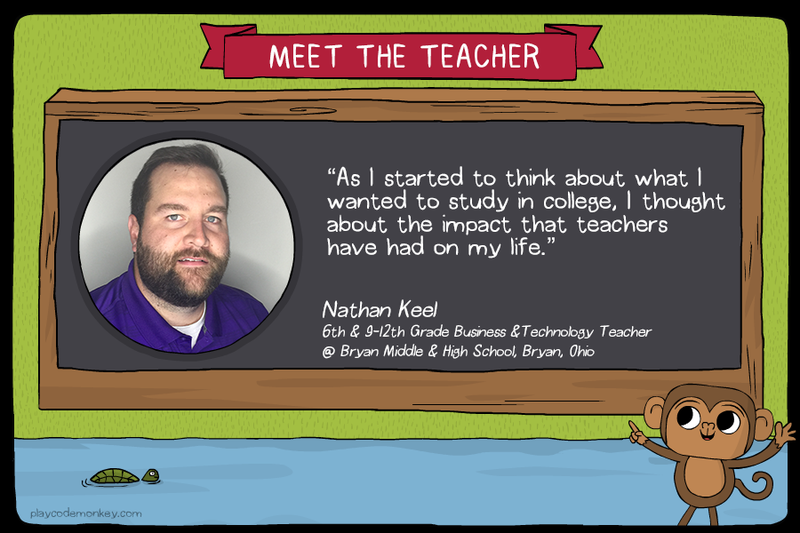 “I decided to become a teacher when I was a junior in high school. I really enjoyed learning when I was in school, mostly due to the teachers that I had. Classes like math, science, social studies, business, and marketing were enjoyable not just because I had an interest in them to begin with, but I also had teachers that made the material jump out and make connections with the material that were meaningful. As I started to think about what I wanted to study in college, I thought about the impact that teachers have had on my life and I wanted to live a life and work in a career to impact students in the same way. I would certainly consider myself a connected educator on a few different levels. I think being an educator that teaches subjects like business and technology, I try to tie in examples from what is currently happening in the world right now and apply them to the different lessons that I teach whether it be in marketing, personal finance, video production, or entrepreneurship. I also believe a connected educator is one that connects with other educators to form a professional learning community. 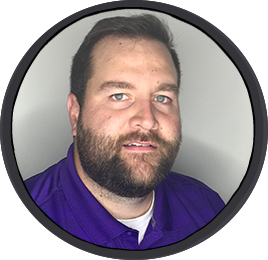 I am a one man department in my high school so I collaborate with other business teachers that I have met during college and attend professional development conferences on a yearly basis to gather resources and tools to help me reach my students. I also think that social media is a great way to get connected. There are many other teachers out there just like myself that are looking for fun ways to teach different topics or advice on how to handle different situations. Working with children has absolutely changed my perspective on the world. Adults have the benefit of having different life experiences and hindsight when it comes to their world views and problem solving. I think as adults it’s easy to get lost in the fact that we were all teenagers and young adults before and our ideas, values, and perspectives have changed because of the experiences we have been through. Our values and beliefs are created through the environment we grew up in and the experiences we have encountered. I think it is our job as educators to help foster a positive environment for our students to show them what is important. This can be as easy as having a conversation about their future or just asking a student how their day was going. Everyday in the classroom is something different from the day before. Kids never stop surprising me with the things they say or do. That’s what makes it enjoyable. It’s important to me that my students develop critical thinking and problem solving skills that go beyond the classroom. I realize that not all students that take my class are going to be interested in the course, but I think that it is important for them to find value in different subjects. The most common question I get as a teacher is “when will I ever use this?” Instead, my hope is that students see each subject in school as pieces to a puzzle. Each class teaches students a different way to think. Some might use more of the right brain, some use more of the left brain, some require a process, some require the students to come up with different solutions to the same problem. Embrace technology. If you really want to connect with your students and engage your students in a meaningful way, technology is the way it’s done. Students are sponges when it comes to new technologies and can even help you learn how to use it. If you have hesitations, I think the best thing to do is sit down with your students and set expectations. I would also suggest all educators to attend professional developments or just ask other teachers in your building how they use technology and incorporate it slowly.